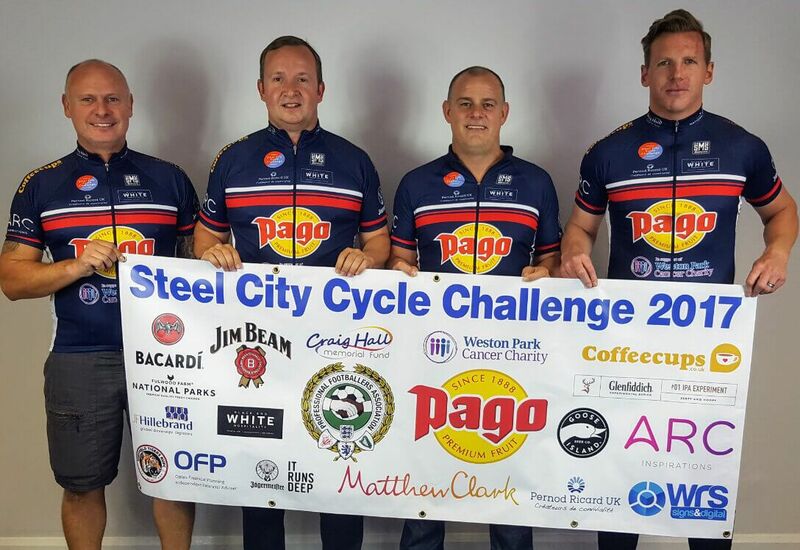 We are proud to support the Steel City Cycle Challenge in their annual charity bike race across South Yorkshire. Raising money for the region’s only specialist cancer hospital, Weston Park Hospital, we will be cheering on cyclists taking part in the challenging 100-mile trek on Sunday 17th September. The Yorkshire bike ride is back following two successful Steel City Cycle Challenges, which collectively raised £29,754 to help individuals receiving vital treatment, so it’s a well worthy cause. This is an incredible event and one that we have worked closely with our client, Pago, to ensure it gets the attention it deserves. The Executive Distributor of Pago in the UK, Marvin Henshaw, is the inspiration behind the race and the reason it has generated such a positive following. The charity race dubbed ‘The Tour De South Yorkshire’ will see cancer survivor, Henshaw, along with ex-pro footballers Dane Whitehouse and Mitch Ward of Sheffield United, take on the challenge to raise money to help improve the lives of those living with cancer. While travelling Asia and Australia, he was joined by his cousin. Craig loved travelling and wanted to see the world. Some years later, Craig married and had two beautiful children of his own. It was then he moved to Australia fulfilling his dream to travel explore different places. Unfortunately, just months after leaving for Australia he was diagnosed with cancer and was forced to return to England. “Sadly, my cousin passed away soon after and it left a massive hole in our hearts. Following his death, along with close friends, we created the Craig Hall Memorial Fund for whom we hold regular charity events to support cancer care in the South Yorkshire region,” Marvin added. Every step towards beating cancer relies on your generous donations. Give a little, and make a big difference to those who need your help the most. To donate and help them reach their £10,000 target, visit their Just Giving Page. Alternatively, you can simply text 70070 followed by the code SYND99 and your amount. Here at Bigfoot Digital, we always love to give to charities and do our bit through social media and the likes to share more awareness. Have a look at some of the other charities and organisations we’ve helped in the past!